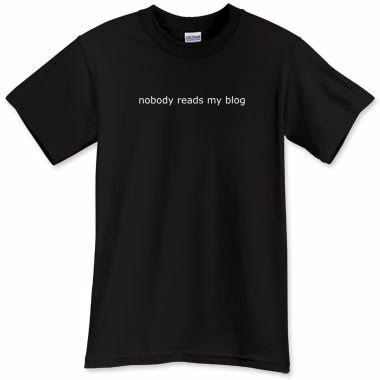 B-Tees has several t-shirt designs for bloggers with catch phrases like "I blog to myself." From what I heard through the grapevine, he'll do requests, too, so if you're interested in, check him out! Ha! This was funny and I am not sure if I would display my bloggyness to the outside world :) I completely missed PJC and will have to catch up.